Apartment of 120 m2 on 1st and 2nd floor. 7 pieces. 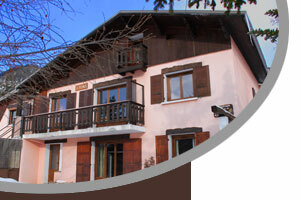 On 1st floor: 2 rooms with double bed (140 cm), lounge with fireplace, large table, 3 chairs, television, balcony. Kitchen with 4 gas hobs, fridge, oven, lwith dishes, small appliances, washing machine. Bathroom with bath, separate toilet. On 2nd floor: A bedroom with double bed (140 cm), a bedroom with three single beds (90 cm), a bedroom with a single bed (90 cm), bathroom with bath, separate toilet.